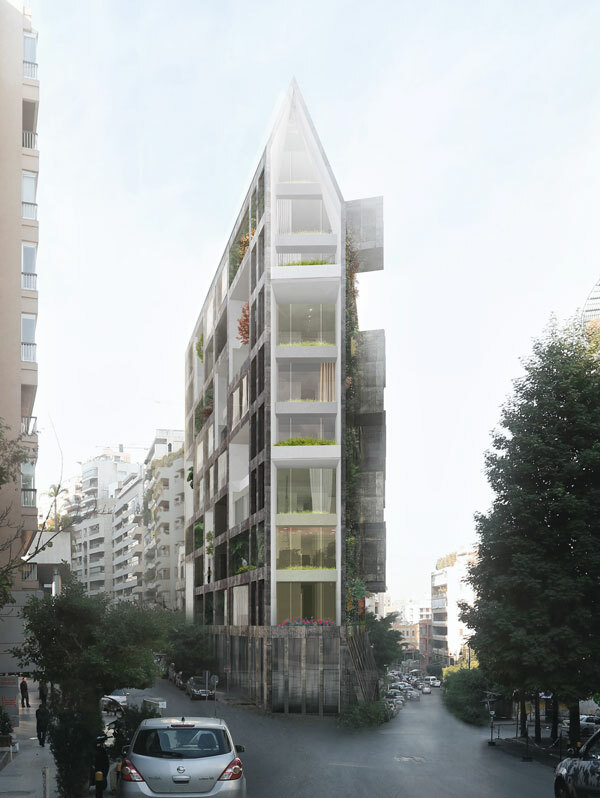 This residential building, on a 620 sqm triangular site at the intersection of two busy Beirut streets, posed the question of just how we inhabit the urban environment today. 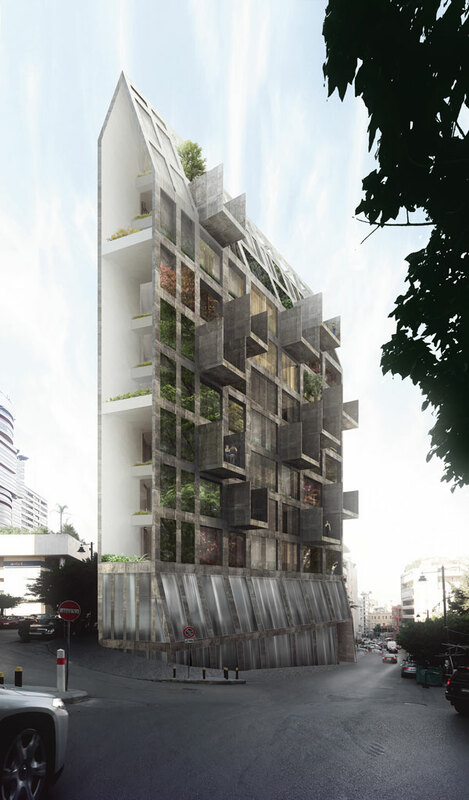 With 16 apartments and retail space on the ground floor, the solution chosen is delivered through the vertical stacking of floor plates around a central core. 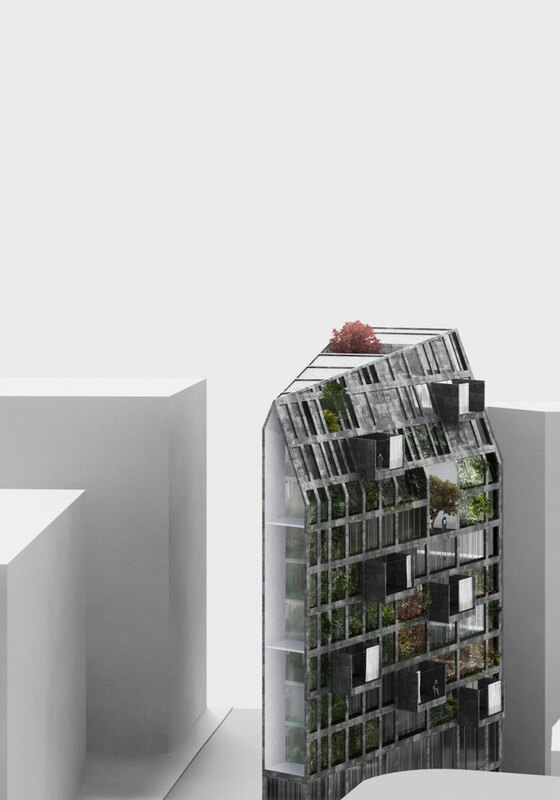 The structural façade allows a great deal of flexibility for the ways in which the building can be inhabited both in plan and in section. 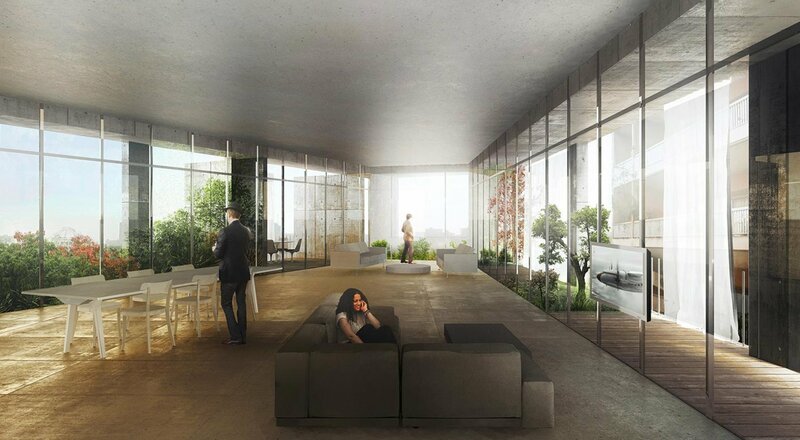 Single floor apartments, duplexes and penthouses can be integrated into the volume in a nearly random pattern so that each resident is satisfied with their own space. 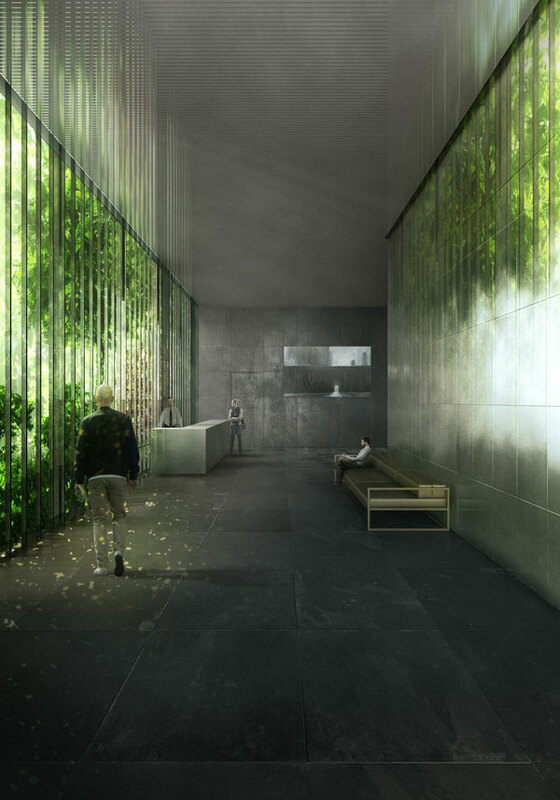 Gardens and terraces run along two facades but above all, at the point of intersection of the two structural faces of the building, the slabs are no longer visible and the building takes on the appearance of a single element. We compare this effect to the approach to a temple where the first view of the building reveals a unified structure whose details are discovered only as the visitor approaches.